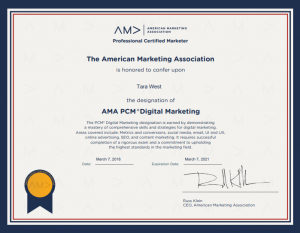 Tara West, Gogo Business Development Services’ digital marketing manager, has earned the Professional Certified Marketer (PCM) credential from the American Marketing Association. She joins a growing group of marketing professionals who have demonstrated they are dedicated to higher standards of practice in the digital marketing industry. The PCM designation acknowledges marketing professionals who have demonstrated their experience and proficiency in the field of digital marketing. The digital space changes fast. 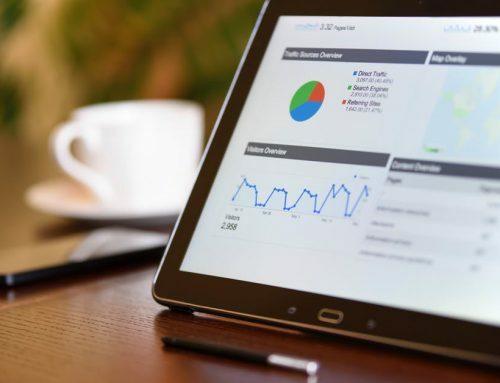 The American Marketing Association ensures certified digital marketing​ experts remain up-to-date on the latest digital marketing trends. 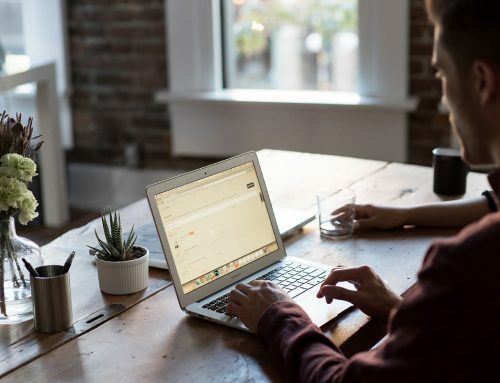 Certified professional must demonstrate that she has specialized skills to not only understand what works now but also what new best practices are on the way. After conducting industry research, the PCM certification was created to recognize digital marketing professionals who are committed to professional development and the attainment of the skills and knowledge necessary to perform their jobs at the highest level of quality. The two-hour PCM exam focuses on these core competency areas and includes 120 multiple-choice questions on subject areas including social media, paid social advertisements, digital marketing best practices, user interface, enhanced user experience, SEO, content marketing, analytics, conversion tracking and email marketing. For more information about the PCM program visit https://www.ama.org/. For more information about Tara West and Gogo Business Development visit http://www.gogobds.com.